What Should I Do if I Have a Foreign Material Problem? Imagine this: While cleaning a slicing machine during a sanitation break, one of your employees discovered a piece of harp wire was missing from the machine. The meat that had been sliced since the cutting machine’s last inspection had already been added to your product, and the product had been packaged. It had already passed through your company’s inline inspection machines without any foreign contaminants being detected. You enjoy a spotless reputation in the food industry and know that if consumers lose faith in the product, it will suffer significant damage to both its reputation and its bottom line. So what do you do now? Here’s a look at four different scenarios and how each one can affect a respected food manufacturer. Where to dispose of the contaminated product. The FDA has specific rules about disposing of contaminated food products, but those guidelines can be affected by local, state and even federal regulations. Among the disposal options are landfills, rendering or incineration. You must find the proper facility, arrange the safe transportation of the product and procure all the required permits for the disposal. Food waste. With 40% of the food produced in the United States going to waste, and 50 million Americans not knowing where their next meal will come from, you don’t want to add to the problem. Product out of stock. Having your product out of stock will be costly. In addition to the lost sales, there’s a chance that consumers will turn to another brand—and not return to buying your product. Cost of reproduction. To re-run the entire product line, you will essentially double your costs. You will have to pay for the cost of the products used, as well as pay for new packaging and all labor costs. You can use your own resources and inline equipment to try and troubleshoot the problem. Running the product through the metal detector to look for the harp wire could salvage most of the product, and would give your company the ability to supervise the entire process. That way, if you find the metal, you’d know firsthand that the contaminated product is out of production and won’t reach consumers. Loss of productivity. Both from the standpoint of equipment utilization and the productivity of employees, reworking the product would be costly to the company. You would have to have to slow the production line and manually re-run all the product through the metal detector to look for the missing wire. Increased labor costs. You would have to pay overtime to your employees and keep your standard production line running while it re-runs the product and looks for the suspected contamination. Limitations of their inspection equipment. Your results are only as good as the equipment you are using, and there’s always a risk that the metal detector that missed it the first time won’t find it the second time, either. It seems like a bit of a gamble; if the metal detector catches it the second time around, then it could be worth it. If the product is re-run and no contaminants are found, however, your company is back where it started and must decide how to move forward. Since the metal wasn’t detected by the company’s inline inspection system, you cannot be absolutely sure the metal is in the product. You only know that a broken piece of harp wire is missing; it’s unclear whether that wire made it into the food. The least expensive option—but also the riskiest—is to go ahead and ship the product, hoping that the missing wire didn’t make it into the food and, therefore, never gets discovered by consumers. There’s a chance that the metal detector was right, the wire isn’t in the food, and things will be fine. However, if the risky gamble doesn’t go in your favor, the consequences could be severe and this becomes the most expensive option of all. Among the risks the company faces are the following. Costly recall. Food recalls are always expensive. According to a study from the Food Marketing Institute and the Grocery Manufacturers Association, the average recall runs up a $10 million tab in direct costs alone. This includes the cost of notifying the supply chain and consumers, retrieving the product, storage, disposal and additional labor costs associated with having to perform all of these actions. Possible litigation. Food recalls often are accompanied by lawsuits, and if the metal wire is eaten by a customer and causes injury, you could be held liable for everything from medical bills to time lost from work due to pain and suffering. Bad publicity and lost sales. In today’s 24/7 news world and with the power of social networking, news of a food recall can reach consumers at lightning speed. This equates directly to lost sales and can have a negative impact on your brand reputation and market value. A recent Harris Interactive Poll found that 55% of consumers would switch brands temporarily after a recall, and 15% would never buy the product again. What’s more, 21% said they would avoid buying any other products made by that manufacturer. 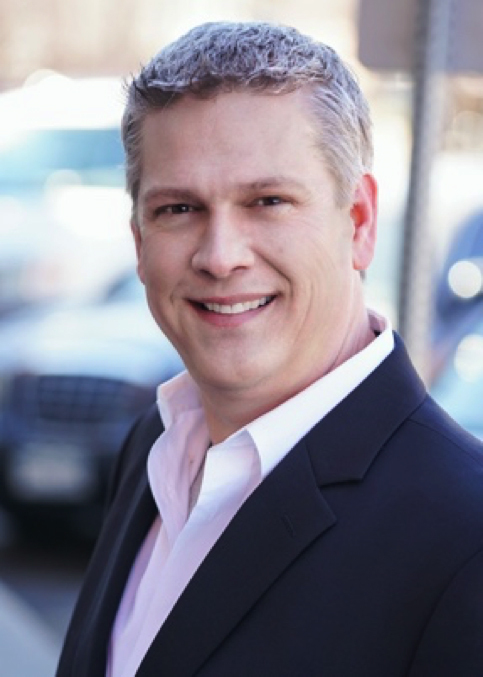 A fourth option can help avoid lawsuits, recalls and bad publicity, while at the same time sidestepping unnecessary waste and the costs associated with disposing of an entire production run or reworking it internally. You can have your product shipped to an X-ray inspection facility, or use an X-ray inspection rental service. Reduced waste. Because the only product being thrown away would be the product that was contaminated, there would be minimal waste. This is the only option that allows you to recover the rest of the product, with the certainty that it has been inspected and is safe for its customers. Advanced detection capabilities. You can be confident in inspection process using custom technology that enables the detection of foreign particles down to 0.8 mm or smaller. In addition to metal, such systems can also detect product clumps, glass particles, stones, bone, rubber, plastic, wood, gasket materials, container defects and missing components. This type of solution far exceeds the capabilities of inline inspection machines, and, because it can run a single pallet an hour, instead of the average 10,000 pounds an hour, and thus it spends more time focusing on what is passing through the machine to ensure no contaminants pass through. When it comes to the quality of your product, it’s better not to take any chances. When you put your product line in the hands of a third-party X-ray food inspection company, you know you will get results since food safety is our specialty — and it’s what they do, all day, every day. As much as food manufacturers take precautions to avoid all types of contaminants, there can still come a moment when you realize that your best efforts have failed. Maybe you find a broken blade or a missing wire during a sanitation break, but the product has already gone through your inline inspection machines—and nothing was detected. This is the freak-out moment that no plant manager or quality assurance manager wants to have. Knowing that there’s possible contamination of your food product (and not knowing where that contaminant might be) creates a hailstorm of possibilities that your plant works hard to avoid. And you’re probably wondering how this could have happened in the first place. In addition to metal, X-ray systems can find glass, plastic, stone, bone, rubber/gasket material, product clumps, container defects, wood and missing components at 0.8 mm or smaller. Metal detectors are the most commonly used inline inspection devices in food manufacturing, and they depend on an interference in the signal to indicate there is metal contamination in the product. Despite the fact that technology has progressed to deliver fewer false positives, the machines can still be deceived by moisture, high salt contents and dense products that could provide interference in the signal. When that continues to occur, it’s common for manufacturers to recalibrate the machine to get fewer false positives—but that also decreases its effectiveness. Another limitation of the metal detector is that, as the name indicates, it can only find metal. That means contaminants like plastic, glass, rubber and bone won’t be found through a metal detector, but will hopefully be discovered through some other means before the product is shipped out. Oftentimes, contamination or suspected physical contamination is discovered when a product, such as cheese or yogurt, goes through a filtration system, or when a piece of machinery is inspected during a sanitation break. If the machinery is found to be missing a part, such as a bolt or a rubber gasket, the manufacturer then has to backtrack to the machinery’s last inspection and determine how much, if any, of the product manufactured during that time has been contaminated. X-ray inspection can find what other forms of inspection cannot, because it’s based on the density of the product, as well as the density of the physical contaminant. In this image, you can see foreign material detected in canned goods. Once a food manufacturer discovers that it may have a physical contamination problem, it must make a decision on how to handle the situation. Options come down to four basic choices, each of which comes with its own risks and benefits. The one advantage of disposing of a full production run is that it entirely eliminates the possibility of the contaminated product reaching consumers. However, this is an expensive solution, as the manufacturer has to pay for the cost of disposal in a certified landfill and absorbs the cost of packaging, labor and ingredients. It also presents the risk of lost revenue by having a product temporarily out of stock. Running the product through inline inspections a second time may result in finding the physical contaminant, but there’s also a risk that the contaminant won’t be found—and now the company has lost money through overtime pay and lost productivity. If the inspection equipment was not sensitive enough to find the contaminant the first time around, it may not find it the second time, which puts the manufacturer back at square one. The advantage to this method is that the manufacturer maintains complete accountability and control over the process, although it may not yield the desired results. There’s always a chance that a missing bolt didn’t make its way into the product. Sometimes, if a metal detector goes off and the manufacturer can’t find any contaminants upon closer examination, they will choose to ship the product and take their chances. The advantage for them is that, on the front end, this is the least expensive option—or it could be the costliest choice of all if a consumer finds a physical contaminant in their food. In fact, the average cost of a food recall is estimated at $10 million; lawsuits may push that cost even higher and result in a business being closed for good. X-ray inspection is the most effective way to find physical contaminants. 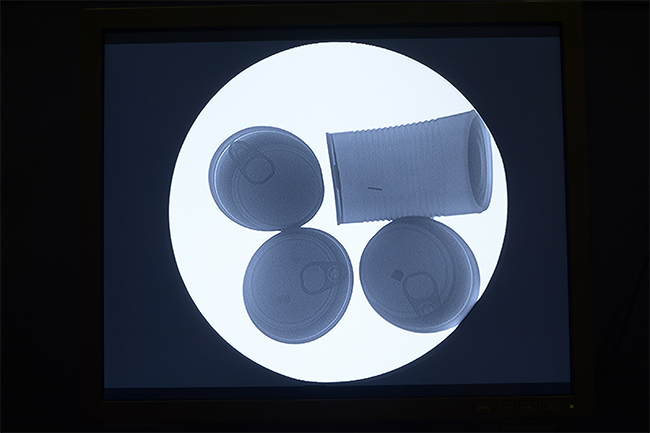 In addition to metal, X-ray systems can find glass, plastic, stone, bone, rubber/gasket material, product clumps, container defects, wood and missing components at 0.8 mm or smaller. When a food manufacturer has a contamination issue, it can have the bracketed product inspected by a third-party X-ray inspection company and only dispose the affected food, allowing the rest of the product to be distributed. This option allows the manufacturer to maintain inventory and keep food deliveries on schedule while still eliminating the problem of contamination. X-ray inspection can find what other forms of inspection cannot, because it’s based on the density of the product, as well as the density of the physical contaminant. When X-ray beams are directed through a food product, the rays lose some of their energy, but will lose even more energy in areas that have a physical contaminant. So when those images are interpreted on a monitor, the areas that have a physical contaminant in them will show up as a darker shade of gray. This allows the workers monitoring machines to immediately identify any foreign particles that are in the food, regardless of the type of material. Handling contamination properly is vital to every food manufacturing company. It affects the bottom line and the future of the company, and just one case of a physical contaminant reaching the consumer is enough to sideline food companies of any size. As X-ray technology continues to evolve, it remains an effective and efficient form of food inspection. Educating plant managers and quality managers on what to do if inline inspection machines fail to detect contaminants should include information on how X-ray technology can be a food company’s first line of defense. While physical contaminants can’t always be avoided, they can be detected—and the future of your company may depend on it. Today FDA released a draft guidance to provide information about what actions by a foreign food establishment or government are considered a refusal of inspection. 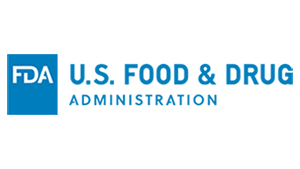 “FSMA gives the U.S. Food and Drug Administration the authority to refuse imported food admission into the United States if the agency is not permitted to inspect the foreign establishment that produced the food,” FDA stated in a release. The 12-page draft guidance, Refusal of Inspection by a Foreign Food Establishment or Foreign Government, outlines how the agency goes about scheduling inspections of foreign establishments (despite the fact that FDA is not required to pre-announce inspections), the inspection activities themselves, and very detailed examples of what it considers an inspection refusal from a facility (from a lack of communication with FDA that delays the agency’s request to schedule an inspection, to preventing an FDA investigator from entering a facility, when a facility sends staff home and tells FDA that it is not producing product). The draft also details what it considers to be refusal of inspection by a foreign government. Some of the actions include preventing FDA investigators from entering the country or asks them to leave the country before an inspection is scheduled; and limiting access to areas of the facility that manufacturing, processing and packaging occurs; and limiting investigators from collecting samples for analysis. If either a foreign food establishment or a foreign government refuses an inspection, they will stay on the agency’s Red List of Import Alert 99-32 until FDA is able to schedule and conduct an inspection. 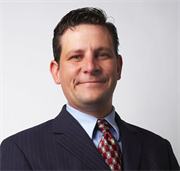 Don’t miss the Plenary Mock Food Safety Trial: Sam I Am who made Green Eggs and Ham is represented by Shawn Stevens vs. Food Safety victims represented by Bill Marler. 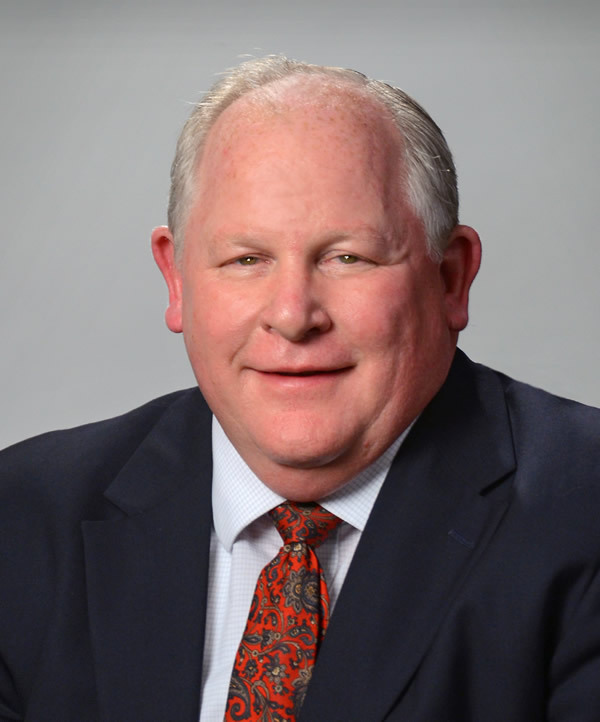 Judged by Steve Sklare | November 30 at the 2017 Food Safety Consortium | Learn moreWith FSMA regulations coming into effect, food companies must prepare for the arrival of FDA investigators, as the agency has made it a priority to inspect U.S. food facilities, and they won’t always show up announced. Prior to an investigator’s arrival, it’s important to iron out several details in order to be adequately prepared. The following are 10 questions that every company should add to its pre-inspection checklist and make sure they are addressed before the inspection. Where will you meet? Pinpoint a place where you will host the FDA investigators. It should be a space that has enough room for them to review records, but it should not provide access to records (paper or digital) that could be viewed unsupervised. Who are the Designated Individuals? Assign a primary and secondary Designated Individual (DI) for each facility. This person serves as the liaison with the FDA investigators and should coordinate vacation time to ensure that one DI will always be available if FDA arrives. Although not required, the DI should also complete Preventive Control Qualified Individual Training. Has the written food safety plan been finalized? And, do the primary and secondary DIs know its components (i.e., GMPs, Sanitation Programs, Preventive Control Plan, Recall Plan, Environmental Monitoring Program, Foreign Supplier Verification Plan, Sanitary Transportation Plan, Food DefensePlan, and Produce Safety Plan)? Are records readily accessible? The DI should be able to immediately access any supporting records from the past three months for FDA review (FDA requires that most records are maintained for at least two years, but investigators usually ask to review the preceding three months). Have you conducted environmental monitoring and environmental sampling? If your company processes ready- to-eat food products that are exposed to the environment prior to packaging, FDA will require you to have an environmental monitoring program. In addition, the agency will collect 100–200 microbiological samples from your facility, so you need to know exactly what FDA will find before it arrives. By conducting your own FDA-style facility swabbing, you’ll be able to identify and immediately correct any hidden problems. It’s also important to develop your swabbing and testing plan with the help of legal counsel so that the final testing results are confidential. Do you have a “No Photographs” policy? If not, you should. FDA Investigators will often insist on taking photographs while inspecting the processing environment. If your corporate policy prohibits visitors from taking photographs, you may in some cases be able to prevent FDA from taking pictures as well. Do you have a “Do Not Sign” policy? Sometimes, FDA Investigators will insist that a company representative sign a statement or affidavit during an inspection. You’re not legally obligated to do sign such a document. You should develop a policy stating you will neither sign nor acknowledge any written statements presented by FDA Investigators. 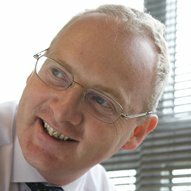 Have you identified a suitable “on call” food industry lawyer? Add a food industry lawyer familiar with the inspection process to the company’s emergency contact list. 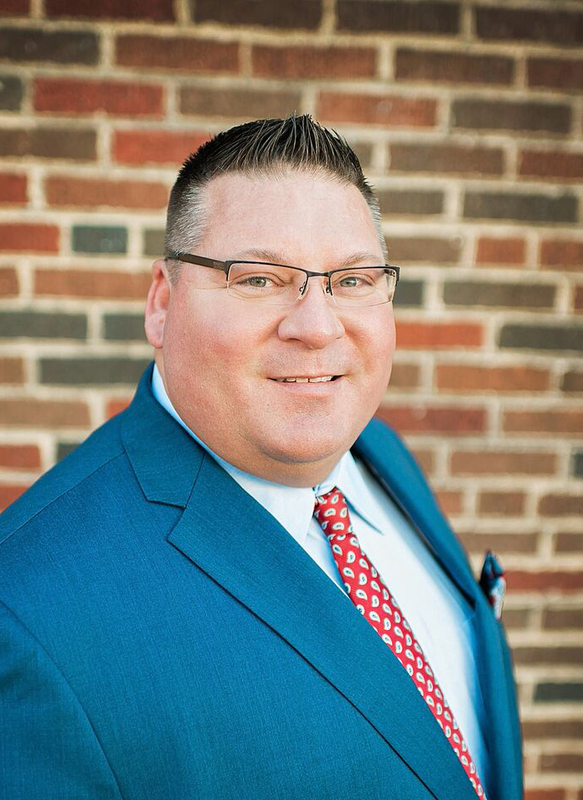 This lawyer should be notified and remain “on call” during the inspection and serve as a resource to help answer any regulatory or investigator-related questions that arise during the process. Did you conduct a mock FDA inspection? One of the most effective ways to prepare for an FDA visit is to conduct a mock inspection. Food industry consultants and/or lawyers can visit your facility and play the role of the Investigator. Ask them to review your programs to identify possible regulatory shortfalls, and work with you to implement strategies that will strengthen your programs and reduce your regulatory exposure. There are several more points to add to your pre-inspection checklist. To get the rest, attend the webinar, FDA Inspection Readiness Checklists, on March 28. Every year, FDA conducts thousands of food safety inspections and issues approximately 2,500 Form 483s to food companies. When the FDA investigators complete their inspection, they use the Form 483 to list the violations about which they are most concerned. Sometimes, if the violations are serious enough, and the company does not provide an adequate written response, FDA will send a follow-up warning letter threatening to shut the company down. The information contained in the 483s and warning letters issued to companies can be a useful tool to predict what FDA investigators will be looking for when they visit your own facility. To see what FDA has been up to, we took a close look at some higher-profile 483s and warning letters recently issued by the agency. This pattern is reflective of FDA’s new investigational approach during routine inspections. During a similar inspection of SM Fish Corp. last summer, FDA collected and tested 105 environmental samples (many of them taken from Zone 3 and Zone 4 areas, which were far-removed from the production of food) for the presence of Lm. When 29 of the 105 environmental samples collected tested positive for Lm, the agency withdrew the company’s registration and urged a massive recall. FDA adopted this aggressive stance even though no food contact surfaces or finished products tested positive for Lm during the routine inspection. More recently, while FDA was performing a routine inspection of the Sabra Dipping Company, LLC’s manufacturing facility in Colonial Heights, Virginia, the agency adopted a nearly identical approach. After performing extensive microbiological sampling within the facility, the agency confirmed that 27 samples of more than 100 collected tested positive for Lm. Although none of the samples were collected from food contact surfaces or finished products, the agency nevertheless urged the company to announce a recall of hummus products that it had shipped. These are just a few examples highlighting the significant consequences that can result from any routine FDA inspection. FDA is moving increasingly closer toward a zero-tolerance attitude toward Lm in the processing environment, and companies should heed the message contained in these most recent 483s and warning letters. With some careful preparation, you can avoid the mistakes of others and increase the likelihood that your own FDA inspection will end with much better results. 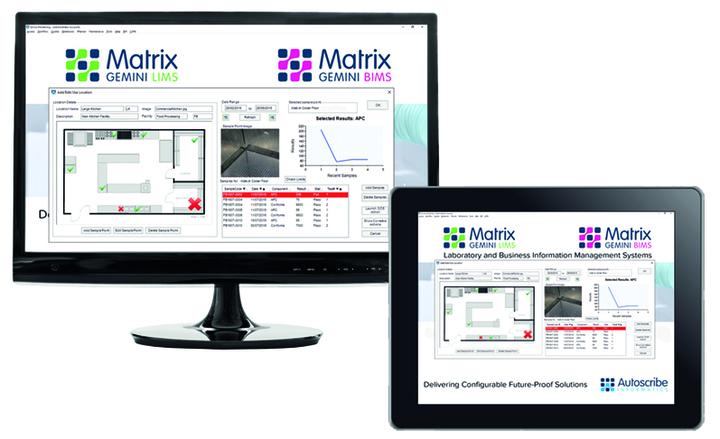 FlexXray will be exhibiting at the 2016 Food Safety Consortium in Schaumburg, IL. At the booth representing FlexXray will be CEO Kevin Fritzmeyer and Project Manager John Hower. They will be discussing their food inspection process and capabilities of foreign material detection. FlexXray is the leader in Inspection & Recovery Services dedicated to serving food companies. The company X-rays food products for various types of foreign material and contaminants, which it can see down to 0.8 mm or even smaller. Metal, plastic, gasket material, glass, stones and bone are a few of the items our customers ask us to inspect for. FlexXray provides quick turn IN/OUT service, your truckload of product is inspected, contaminants removed and returned in only 8-12 hours. The company has introduced a new audit program for our customers to conform to the new HACCP and FSMA regulations. It is meant to help catch and prevent problems before recalls occur. Our goal is to work with food companies to inspect their finished product for foreign material versus their other option, throwing it away. We strive to provide your company a cost-effective option in the event that you have an incident. For more information, visit the FlexXray website. Post-FSMA Food Safety Inspection: Are You Ready? Note: FSMA will include the scheduled compliance inspection as part of the implementation of rules. This will occur in the next several years for many food companies. 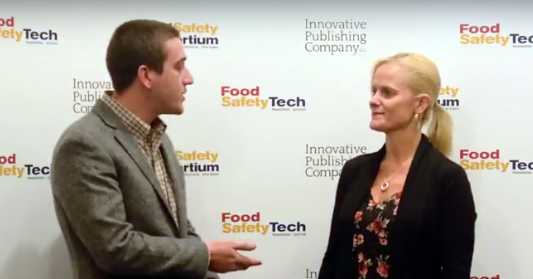 With FSMA rules moving to the compliance stage, food companies must prepare appropriately to best respond to the requirements and, correspondingly, to additional inspections. These inspections are in addition to others, including GFSI with its emphasis on unannounced level audits for some schemes. For example, these audits may be required by the code (as with SQF) or as part of customer arrangements per certification contracts. Learn more about FSMA Inspection Readiness at this year’s Food Safety Consortium in Schaumburg, IL | December 7-8, 2016 | REGISTERWith the growing potential for inspections and audits, a well-planned program and response must be developed, implemented and tested to achieve a most successful outcome. This is an important area to address, especially given the many changes in compliance under FSMA, greater scrutiny under GFSI, and a rapidly changing responsibility for food safety management resources. For companies experienced with past FDA compliance audits, the new rules and Section 117 cGMPs will require more formalized programs and strong evidence of compliance through internal audits and oversight by Qualified Individuals (QI). The inspectors will look to focus heavily on new requirements and the “letter of the law”. Additionally, organizations under the Preventive Control Rule must have multiple Food Safety Plan QIs, qualified audit resources and competent sanitation management, along with competent plant operators. It is critical to have established roles, planning and testing as part of any inspection readiness program. The following self-diagnostic assessment tool can help organizations better determine their current state of planning when it comes to developing inspection readiness. To complete your own planning assessment, review your progress compared to the questions in Table I. 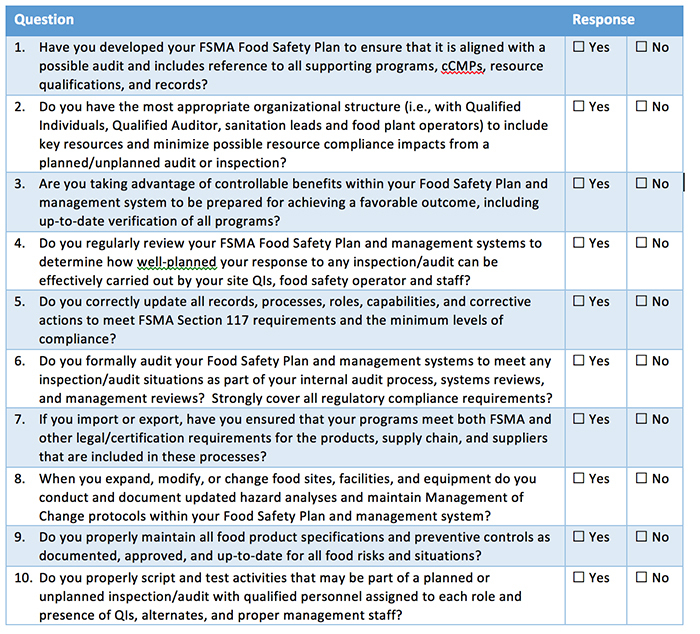 Table I. Kestrel Management’s self-diagnostic tool can help a company assess its level of inspection readiness and preparedness for FSMA compliance. Companies must have the appropriate plans and resources to comply with FSMA and certifications or face possible violations that can include fines and penalties under FDA enforcement. The questions in Table I will help companies identify areas to consider for Inspection readiness. Kestrel can also help answer questions, provide input on solutions, discuss how to better manage all of your food safety requirements—and change “No” responses into “Yes” responses that promote best practices for FSMA and food safety compliance.